So you want to start something that matters…? 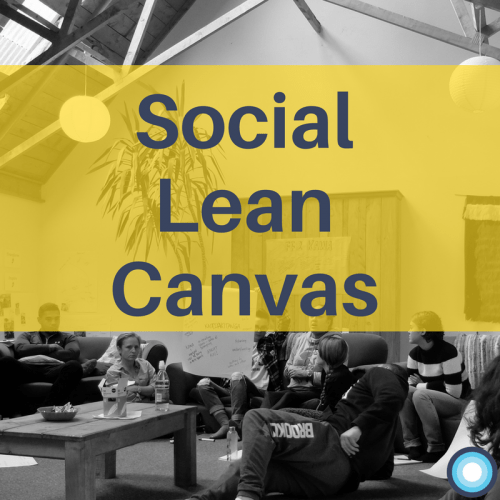 The Social Lean Canvas is one of the key resources the Lifehack team uses and refers to in all of our work. If you’re not already using it we suggest you take a look! The team over at the Akina Foundation developed the Social Lean Canvas, and we recommend SocialLeanCanvas.Com as a starting point to learn about the Canvas. As most initiatives and projects take funding, this tool is a great way of zipping together your social purpose (eg. improving youth wellbeing) with your funding model. It’s a one page business plan that we’ve been told goes down exceptionally well with funders. Want to introduce others to the Canvas? When hosting the Flourishing Fellowship in 2017, we ran an introductory session on the Social Lean Canvas using this slide deck. Our aim with that workshop was to help people figure out the easiest order to fill out the canvas and to understand some of the jargon in the Canvas. If you want to run a workshop on the Canvas, please take these slides and use them for yourself!